Will You Run With Us? Calling all runners and walkers, joggers and speedwalkers, movers and shakers! We invite you to come take part in a 5k with us! On Sunday, September 23 at 9 a.m., FCS is taking part in the Generosity Race Series, and we are recruiting twenty-five runners and walkers to join us. Whether you’re a seasoned athlete or a beginner, you are invited to come out and participate. Kids are welcome to run, and strollers can be pushed! You don’t have to go fast, we’re just glad you’re moving with us! Why should you run? Here are four reasons to lace up your shoes! When we come together, we can make a big difference! All runners are asked to fundraise $200, which goes directly to FCS. And don’t worry, we’ll provide you with the tools to help you ask your network to donate. Are you looking for some motivation to get back into your exercise routine? Consider this it! Invite a friend or family member to participate with you and start training together. 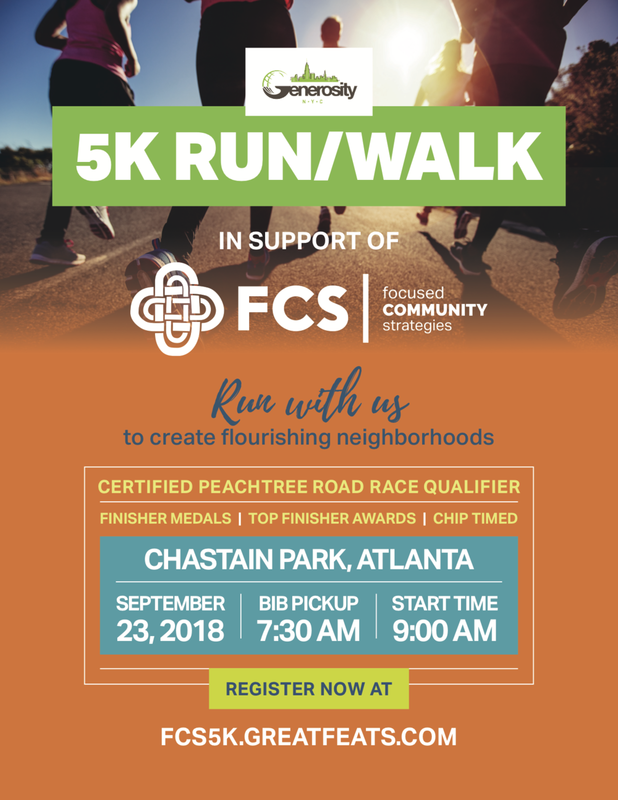 And for you serious runners out there, there are prizes for the top finishers, and this event is a Peachtree qualifier. Spend a Sunday Morning Celebrating Community! Race day is guaranteed be a fun morning with neighbors, friends, donors, and staff all coming together for this event. 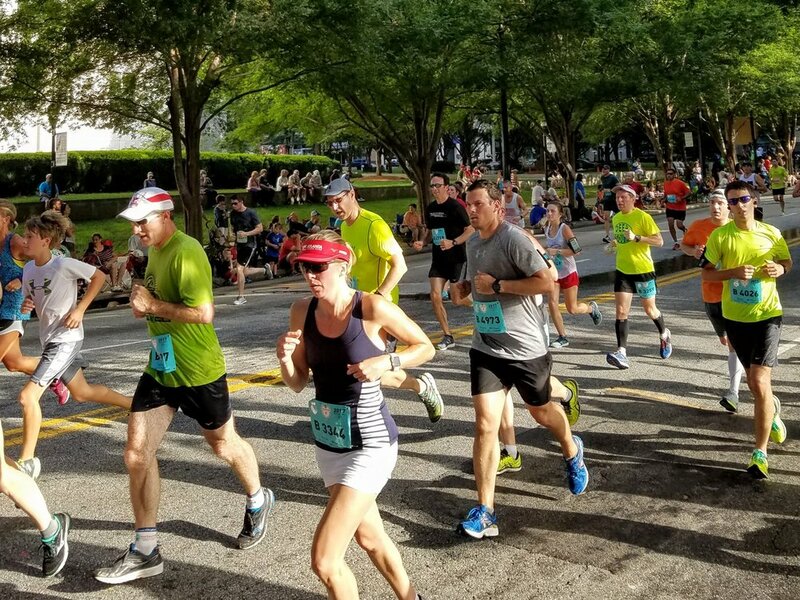 You can say hello to Executive Director Katie Delp on the race course, as well as mingle with other FCS supporters as you get ready to run. To sweeten the deal, runners will receive a race t-shirt, swag bag, and finisher medal! You’ll definitely want to hang around after the race to hear the DJ and munch on the finish line goodies. Commit to fundraising $200. Remember, that’s just you and seven other friends chipping in $25 each! Join us at Chastain Park on race day! Maybe you’re out of town on the weekend of the 23rd, or you have something else planned. You can still support FCS by making a donation to one of the runners here. But for the rest of you, we can’t wait to see you there! A Saturday morning full of togetherness, generosity, exercise, and donuts is certain to be a good one. We hope you’ll lace up those running shoes and join us!